Former Middleweight Champion of the Pacific Coast. He was of Portugese descent. When he and manager Jack Kearns got back from Australia, they parted ways. Kearns would then be critical of Murray's fighting. See the TACOMA DAILY NEWS, for example. Murray then took on Paul (Gloomy) Granstrom as manager. 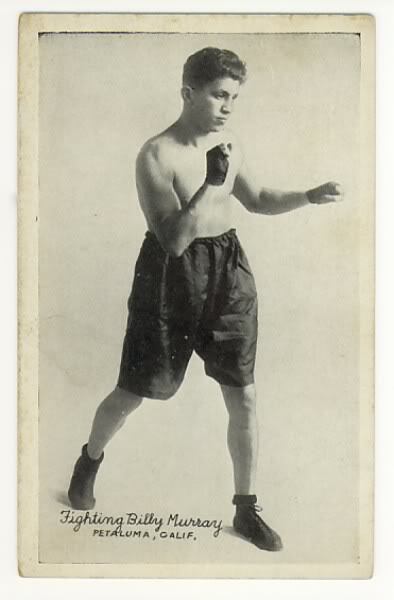 Kearns then immediately found and took on future champion Jack Dempsey as a client. By January 27, 1922, according to local newspapers of the time, Murray was seriously ill in a Los Angeles sanitarium. He died at his home in Tucson, Arizona, March 4, 1926 of tuberculosis, which he contracted while serving in World War I. He was a Veterans Bureau patient at this time.